The Green Deal is part of the government’s new Energy Bill that aims to upgrade the country’s ageing housing stock, in order to meet and combat the latest carbon emissions targets set by Energy secretary Chris Huhne earlier this year. The deal is striving to provide homeowners with the opportunity to make energy-efficient improvements without having to pay directly for installation costs. The Green Deal will encourage consumers to make these home improvements by offering upfront finance options, which will be amalgamated with their property’s energy bill. Following our recent research, it has also been highlighted that only five per cent of tenants in private rented accommodation think their landlords would actively make energy efficient upgrades and 40 per cent say they would have to battle for changes. So it will come as good news that the Green Deal also gives renting tenants the right to ask their landlords for reasonable upgrades. 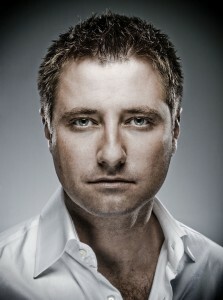 If you are interested in finding out more about the Green Deal, or have any other energy saving questions, or would simply like to know more about Pilkington energiKare™, then ensure you are logged in on Friday, as TV presenter and architect George Clarke will be joining us on Friday 4th November at midday for an hour, for a live Twitter chat to answer all your questions. Ahead of this, simply tweet @MrGeorgeClarke with your questions, including the topic #MOTyourhome and George will reply with his expert advice and insight on Friday.